Daily Oklahoma Cash Grain Prices- as reported by the Oklahoma Dept. of Agriculture on Thursday, April 26th. 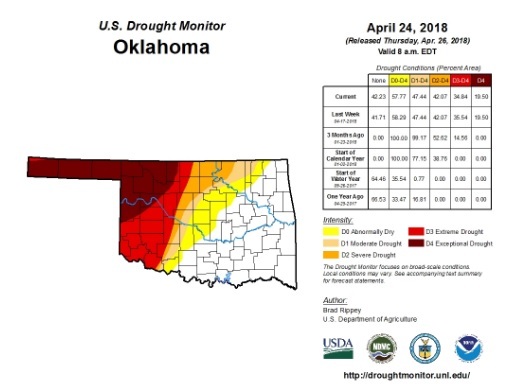 Parts of west Oklahoma including areas where wildfires broke out still remain under exceptionally dry conditions this week, according to the latest Drought Monitor which indicated little change from the numbers seen the week before. Currently, 47.44 percent of Oklahoma is in some level of drought - with just under 20 percent of that falling within the exceptional drought category. Recent rains that fell near fire areas in Oklahoma helped with containment efforts there and also provided modest drought relief in Oklahoma and northern Texas, however did not reach most of the region's other drought-affected areas. USDA reports that topsoil moisture was rated 67% very short to short in Texas and 53% very short to short in Oklahoma, a 19-point improvement from the previous week's value of 72% very short to short. For more details or to view a larger image of the Drought Monitor Map, click here. OSU Extension Plant Pathologist Dr. Bob Hunger published his latest report on the condition of wheat disease in Oklahoma this week in which he raises the alarm that certain foliar diseases not widely seen so far this season, are on the rise. Hunger has predominantly seen only minor cases of powdery mildew this season and continues to see them pop up around the state. In recent days, though, other diseases have become more active, he says. Over the past week, Hunger has received reports of Septoria tritici blotch near Walters, Okla, just north of the Texas border. However, what's more concerning he warns, is a growing number of both leaf and stripe rust cases being reported in central Oklahoma. "This activity will increase through the coming weeks as the forecast indicates continued moisture (rains and dew) coupled with moderate temperature," Hunger says. "Wheat in southern Oklahoma was approaching or was actively flowering, so the option of using a fungicide to protect yield potential either is at hand or may be too late." Typically, foliar fungicides should be applied for wheat rust control between flag leaf emergence and complete head emergence. However, some fungicides are labeled for a later application. For additional information related to foliar fungicides and to read Dr. Hunger's complete report, click here. Extension Grain Market Economist Dr. Kim Anderson says spring wheat is the big topic of discussion this week as the latest reports of planted acres show both the US and Canada have higher numbers than anticipated. Anderson says this is because spring wheat generally produces a higher protein content and the market has created enough demand for quality protein grain to justify farmers putting down the additional acres. Also in the news, Anderson reports that manage money has been seen shifting from stocks to commodities - which he believes could potentially be a welcome lift to wheat prices. 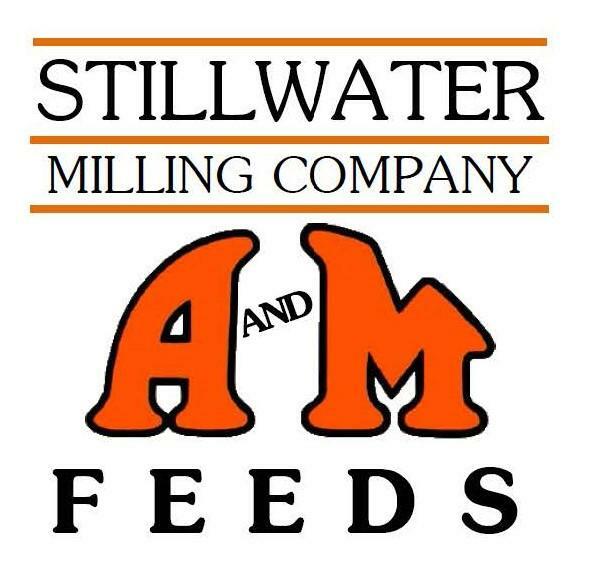 All possibilities aside, Anderson says if farmers are able to meet the market's needs - with high protein and test weight - he predicts farmers in western Oklahoma could potentially command a delivery price of $4.75 - especially given the steady 40 cent increase in the basis that has climbed up the charts over the past four to five months. You can watch Anderson's appearance on SUNUP tomorrow or Sunday on OETA - or you can hear Kim's comments right now band see what else is on the lineup for this week's episode, by clicking here. On May 1st during the Oklahoma State FFA Convention, ten Oklahoma FFA Chapters will be officially recognized as winners of the Model of Excellence award, sponsored this year by AARP Oklahoma. AARP Oklahoma is celebrating these chapters with the launch of a new video featuring the Burns Flat-Dill City, Colcord, Elgin, Fairview, Howe, Oologah, Owasso, Perkins-Tryon, Stillwater, and Tulsa-Webster chapters. "AARP Oklahoma applauds these Model of Excellence chapters for building our Oklahoma communities, strengthening agriculture and developing student leaders," said AARP Oklahoma State Director Sean Voskuhl. "These chapters create livable communities which create happier, healthier residents of every age and in all life stages. We look forward to honoring each of them at the May FFA State Convention." AARP Oklahoma will also recognize FFA advisors named as Outstanding Ag-Ed Teachers during the 2018 convention as well as the winner of the Oklahoma FFA Home and Community Development Proficiency Award. Click here to watch the video released ahead of the State FFA Convention celebrating the achievements of our youth in agriculture. The multi-stakeholder led initiative called Solutions from the Land, released an op-ed article this week entitled "Policy Makers Should Build on Carbon-Neutral Designation of Biomass." The article highlights a recent designation by EPA of woody biomass as a carbon neutral resource. This comes as a welcome development within the U.S. forestry sector, according to the group which insists "sustainably produced and managed forest biomass can offer valuable clean energy contributions and important carbon sequestration services to mitigate climate change, while bolstering rural communities and reducing wildfire risks." However, this decision by the EPA has been met with its fair share of criticism from certain circles within the environmental community. Nonetheless, SFL maintains that sustainably sourced biomass fuel emissions are carbon neutral, citing a broad scientific consensus. The article also references a study that suggests the US could potentially sustain a bioeconomy that could support a wide variety of benefits to our national security, the environment and economy and society at large. "In fact, the United States has the potential over the next 25 years to produce up to four times the amount of biomass resources (which also include agricultural, waste, and algal materials) that are harvested today," the article state, "all without adversely affecting the environment." 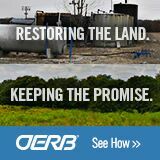 SLF asserts that advancing these policies and regulations sooner rather than later, will significantly enhance the rural community's economic development; lower the carbon footprint of America's energy supply; restore the health, vitality and proper functioning of many of the nation's public lands; and insure the future of America's private - all while supplying a growing bio-economy. Read more about this new designation by EPA and what SFL believes it can do for the forestry and larger ag industry and our rural communities, by clicking here. The last couple of days have been wrap up kind days as the Oklahoma Forestry Services has been detailing how the tedious work of checking lingering hot spots has been going. According to their report released on Thursday- "The fire's current containment is 99 percent and estimated size is 286,196 acres. One hundred and thirty people remain assigned to the incident. Some crews will go to the field this morning(yesterday) to do one last inspection and clean up. By the end of shift today, all crews, equipment, and most support personnel will be demobilized. Southern States Incident Management Team (IMT) members will remain to remove all traces of the ICP from the Pioneer Cellular Event Center in Weatherford Friday." Due to significant rainfall across the state, Governor Mary Fallin yesterday issued a proclamation reducing the number of counties included in the burn ban from 36 to 14. This change came at the recommendation of Oklahoma Forestry Services after an analysis of the impact of the rainfall in the affected counties. Counties that remain under the governor's burn ban are: Beaver, Beckham, Cimarron, Dewey, Ellis, Greer, Harmon, Harper, Jackson, Major, Roger Mills, Texas, Woods and Woodward. 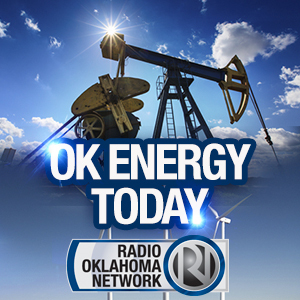 Our friend Michael Kelsey of the Oklahoma Cattlemen's Association was featured in this week's regular podcast of the National Cattlemen's Beef Association- interviewed by Ed Frank. They talked about the leading up to the wildfires in northwest Oklahoma- how quickly the fires burned and how complete the devastation was with the wildfires earlier this month. Kelsey talked about the letter that has been sent to President Donald Trump and VP Mike Pence inviting them to come and see the damage and more importantly talk to the families impacted with the fires we have lived thru here in northwest Oklahoma. They also talked about the relief efforts- including the hay donations and the Oklahoma Cattlemen's Foundation efforts. To hear the complete interview- click or tap here. Yesterday, we featured the Northwest Area Star Farmer, JaLeigh Oldenburg of the Mulhall-Orlando FFA Chapter who has developed her flock of Southdown sheep over the years. Today she runs 145 head of registered ewes and rams which she breeds each year to market her lambs at some of the nation's leading purebred sales. She says she has learned a lot about responsibility, the importance of intentional time management and how to interact with customers through her business. Oldenburg has also taken control of the flock's breeding program and makes all decisions regarding genetic selection. She credits her father with teaching her everything she knows and the FFA with giving her the tools to be successful. "FFA has given me a good ethic to be able to do this mostly by myself," she said, "FFA has really helped me to grow as a person and helped me to learn the value of helping others." 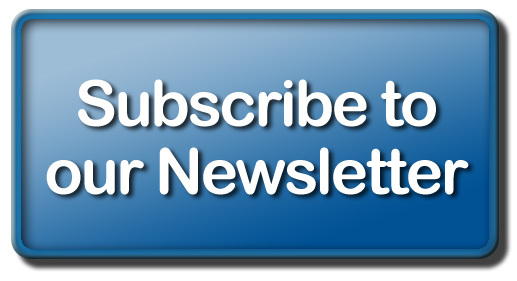 You can hear our entire conversation by clicking or tapping over to the Blue-Green Gazette on our website. Check back later today, too, as we wrap up our coverage of the 2018 Area Star Finalists today with our final profile feature, sponsored by American Farmers & Ranchers and AFR Insurance. A new video released by the US House Committee on Agriculture is being used to promote the importance of the proposed Agriculture and Nutrition Act (H.R. 2) and how it will strengthen the farm safety net so producers can continue to provide bountiful food and fiber for our nation and the world. A statement released in tandem with the video maintains that "strong food security is strong national security because a nation that can feed itself is inherently more secure than a nation that can't." The video positions America's farmers and ranchers as the source of that abundance - supported by a strong farm safety net that helps keep them in operation even in times of hardship. Click or tap here to watch the video and learn how the Farm Bill protects our nation's security by protecting its farmers and ranchers.